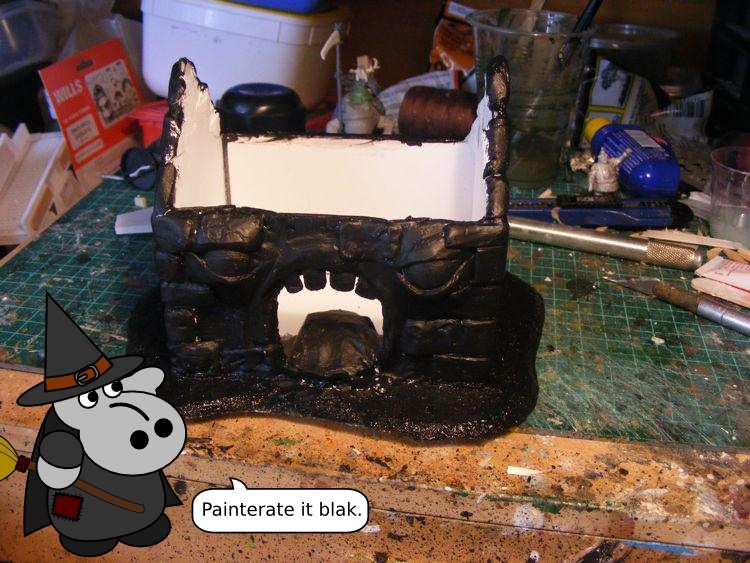 And you know the best part? 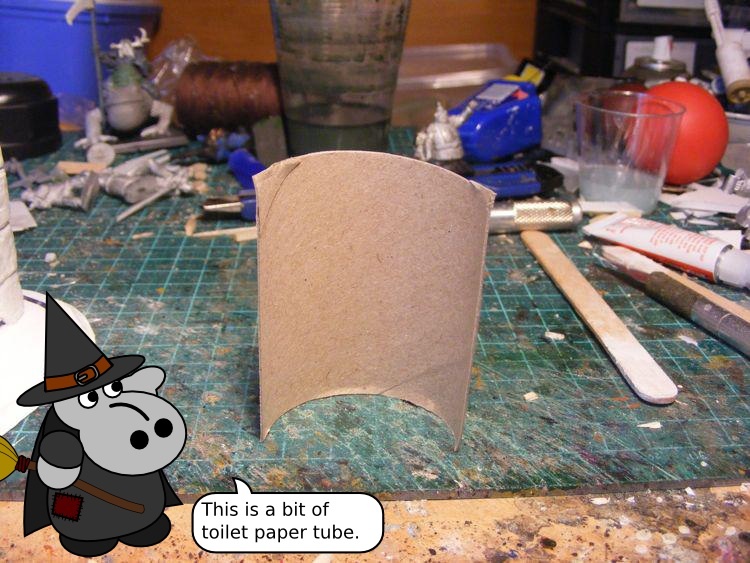 They are stupidly quick and easy to make! 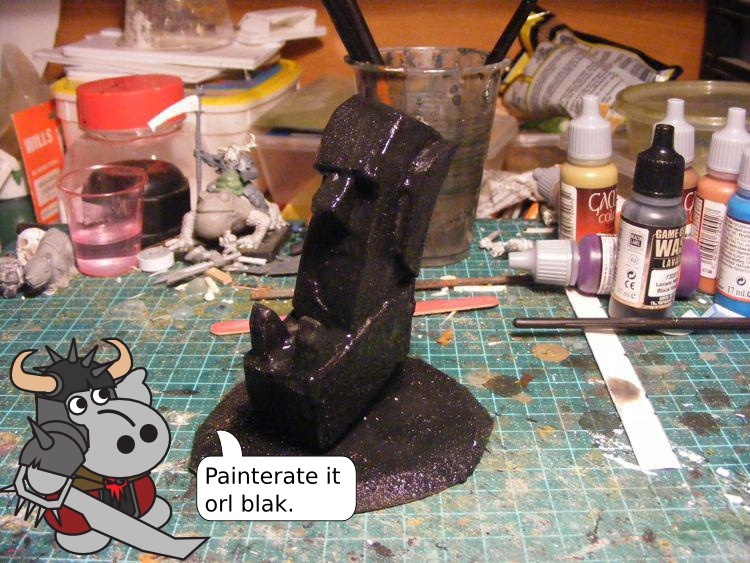 And there you go! A nice quick project with lots of personality! 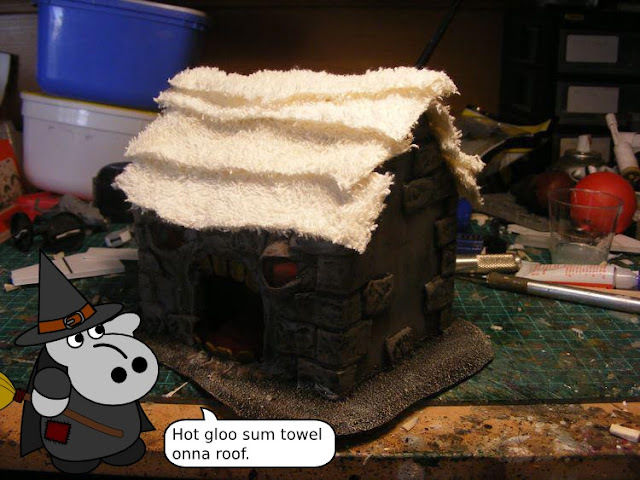 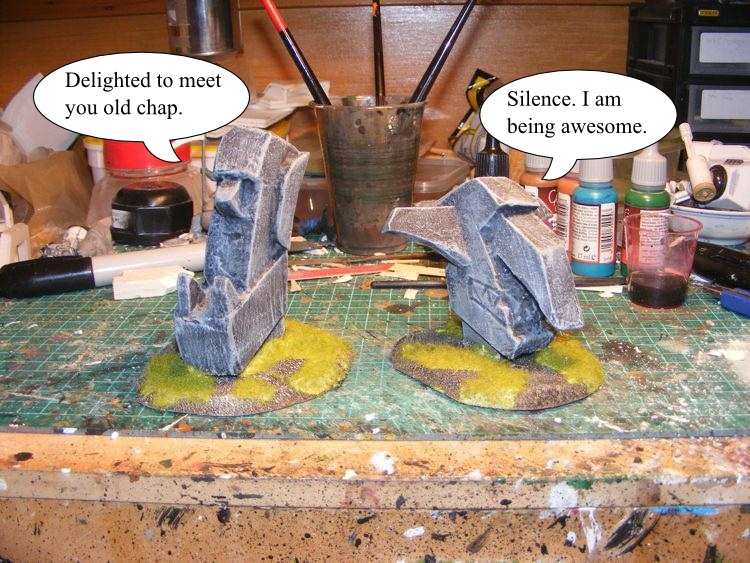 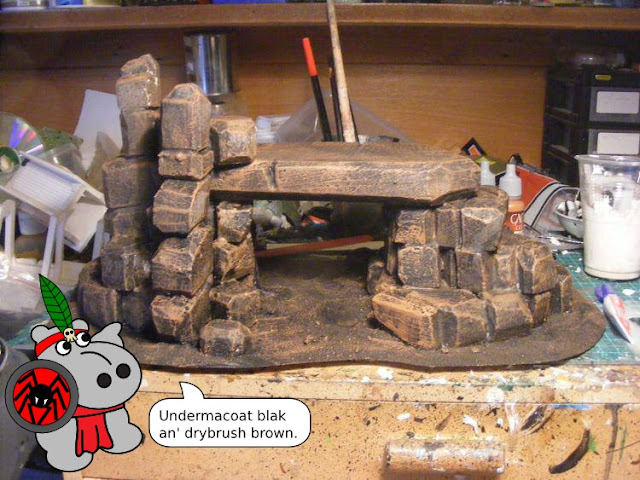 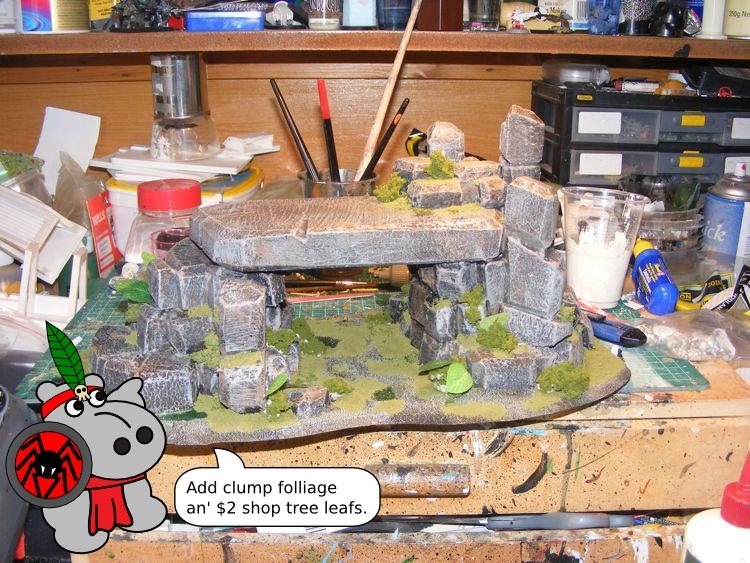 And now a warning - I've just been commissioned to build $400 worth of terrain, so it might be a while before Ishoo Atey goes up - but I promise you, the Blighted Altar with be both blight-ridden and epic. 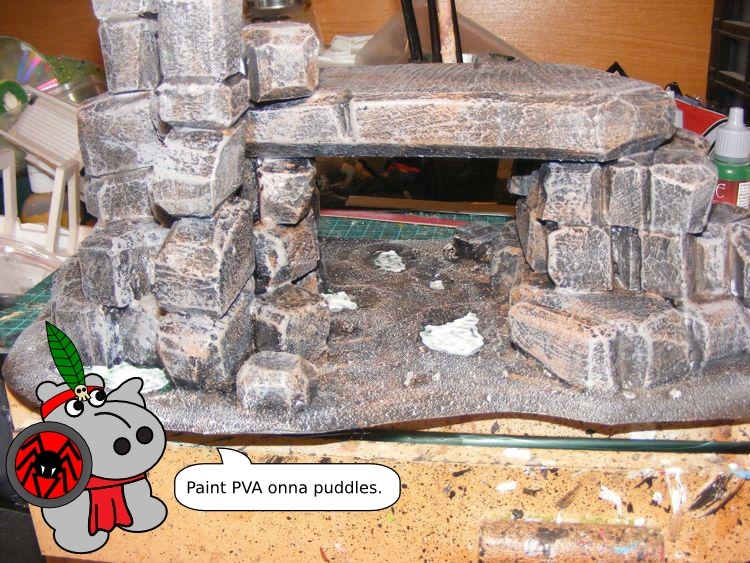 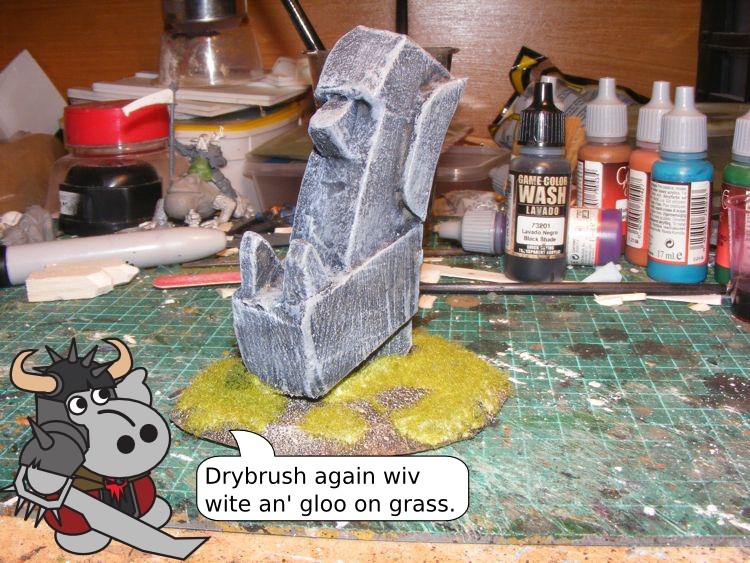 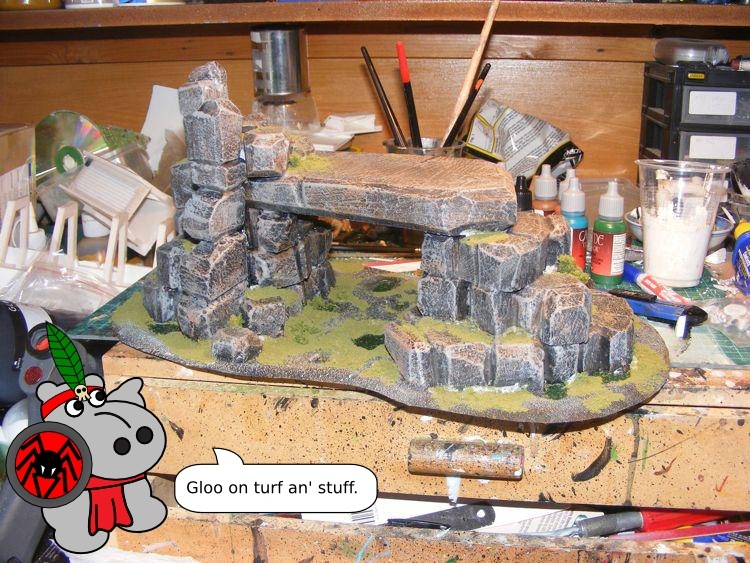 Way back in the mists of time when I first started to get into this whole wargaming lark, GW used to have a piece of terrain which appeared fairly often in White Dwarf, and which I always fancied. 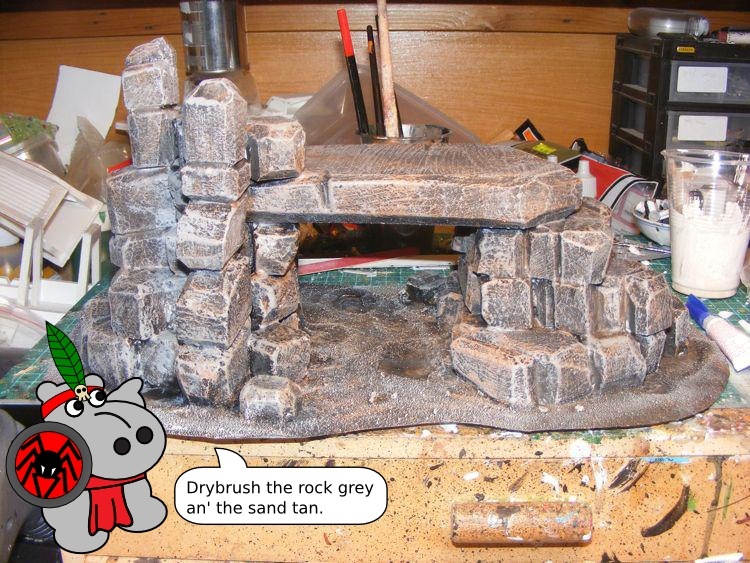 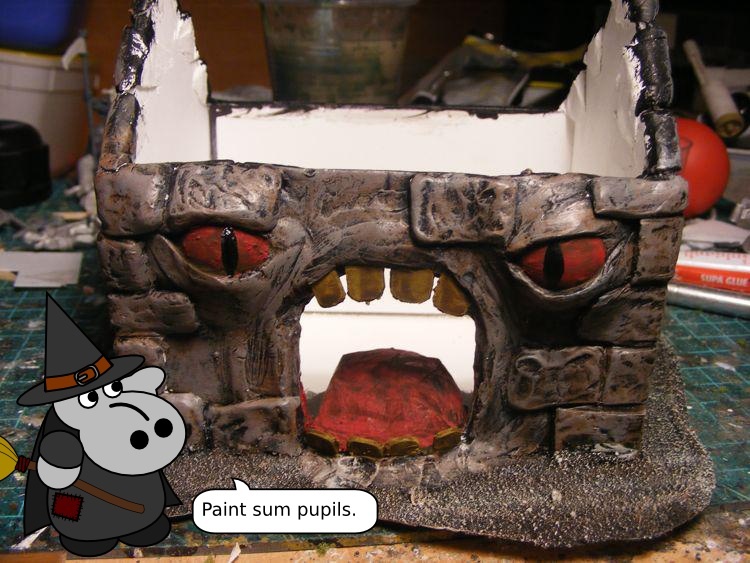 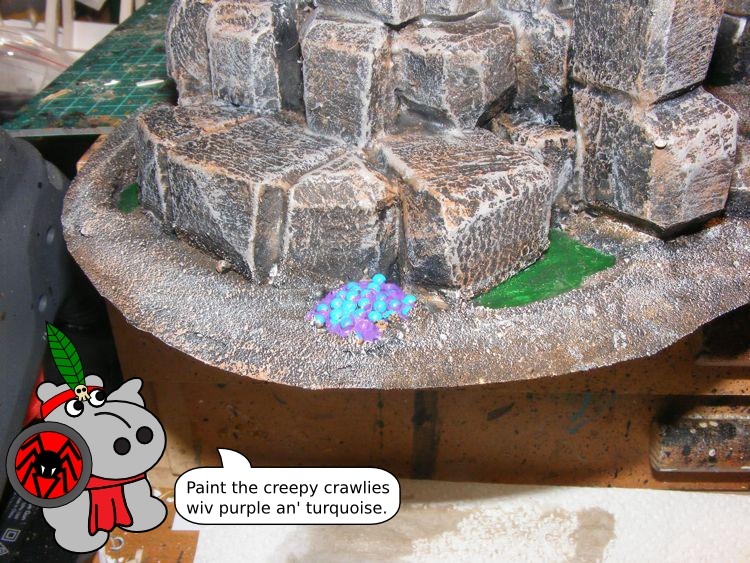 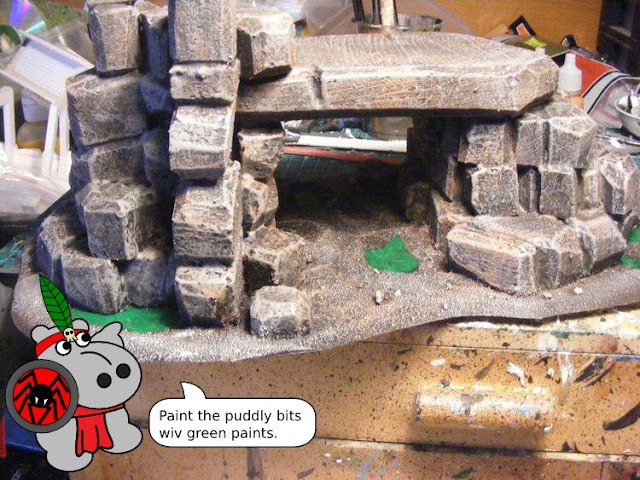 It was a large rocky hill with a tunnel through the middle, and those big red-thorned puff-ball cactus which used to turn up on all their 2nd ed 40K stuff. 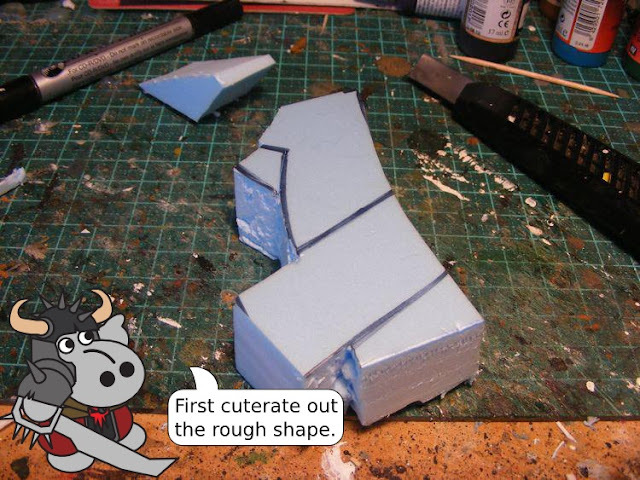 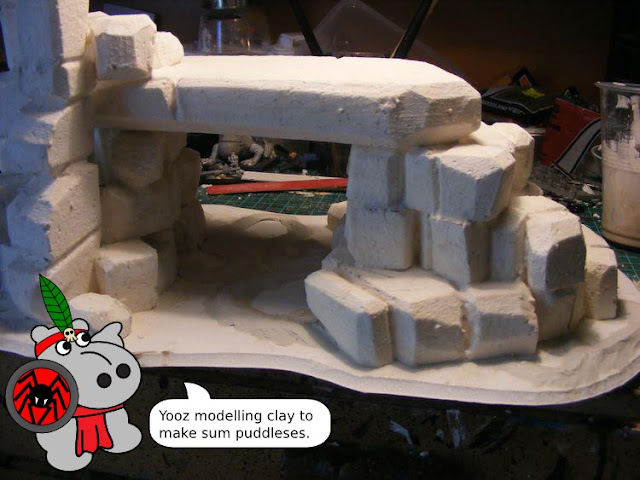 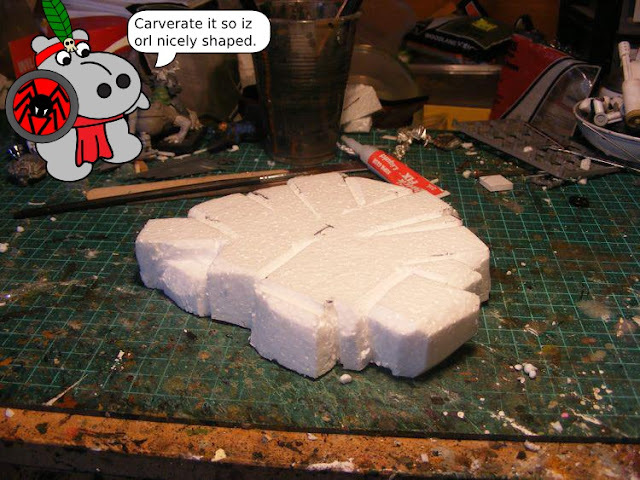 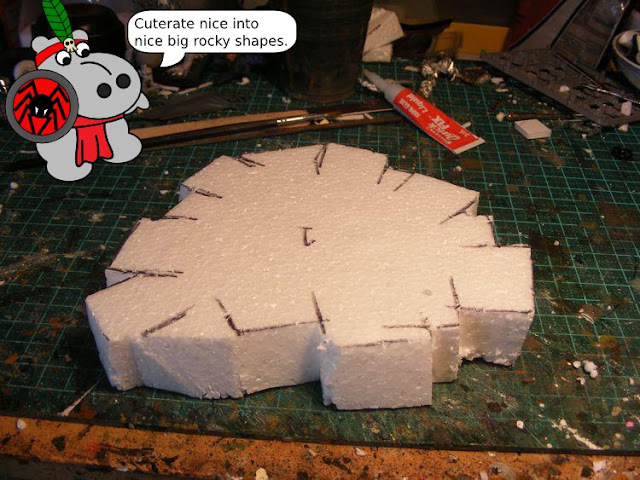 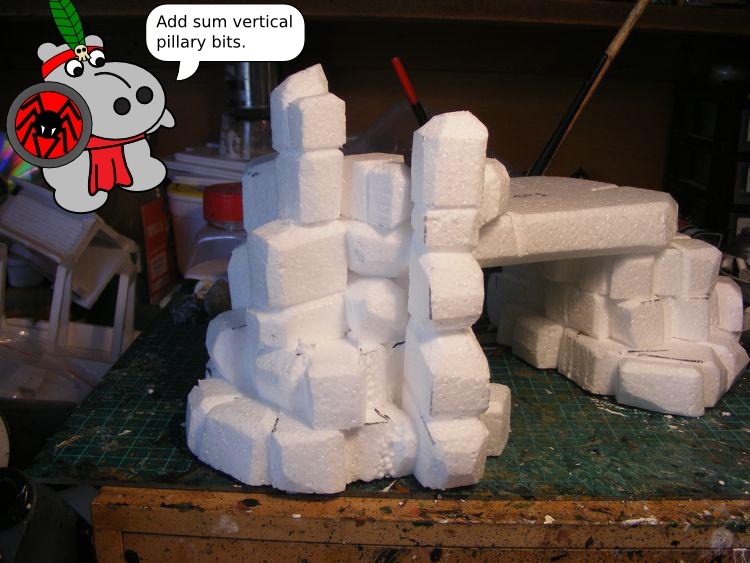 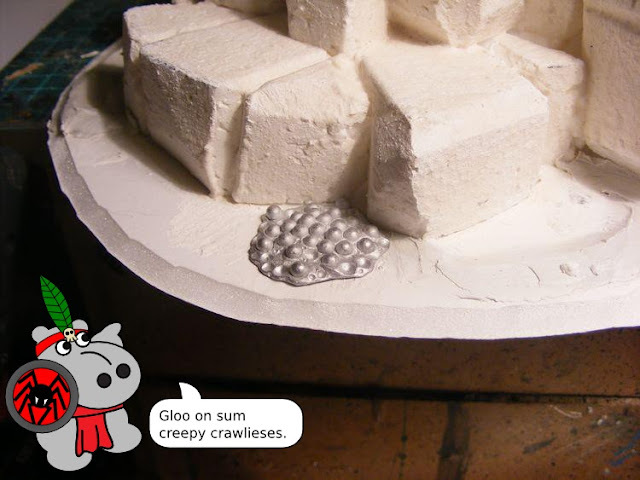 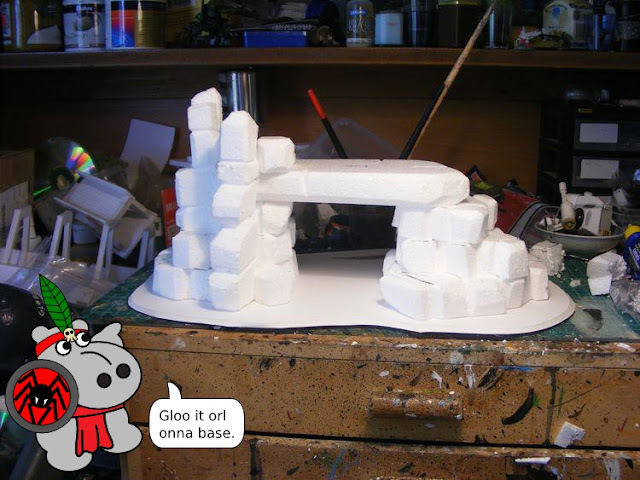 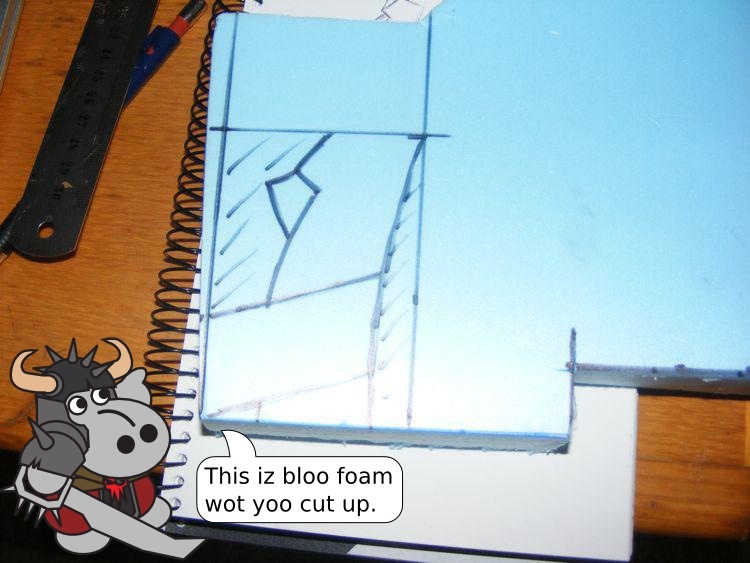 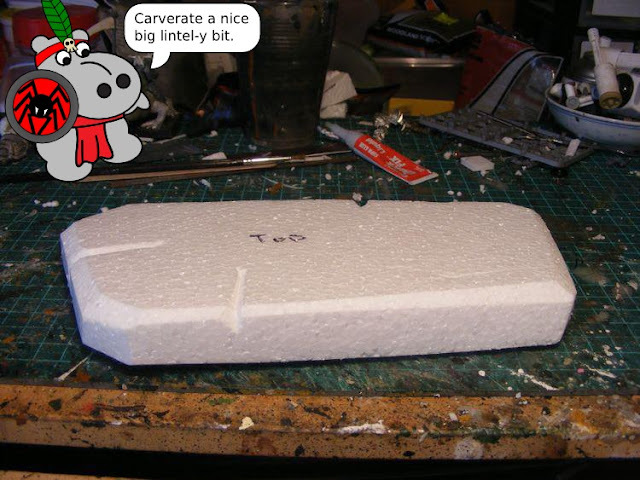 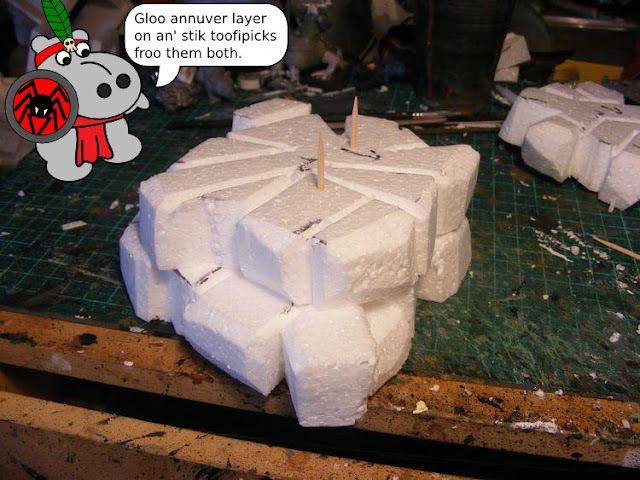 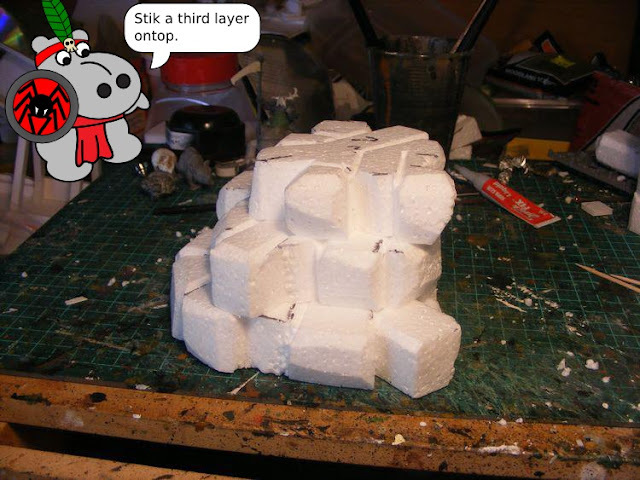 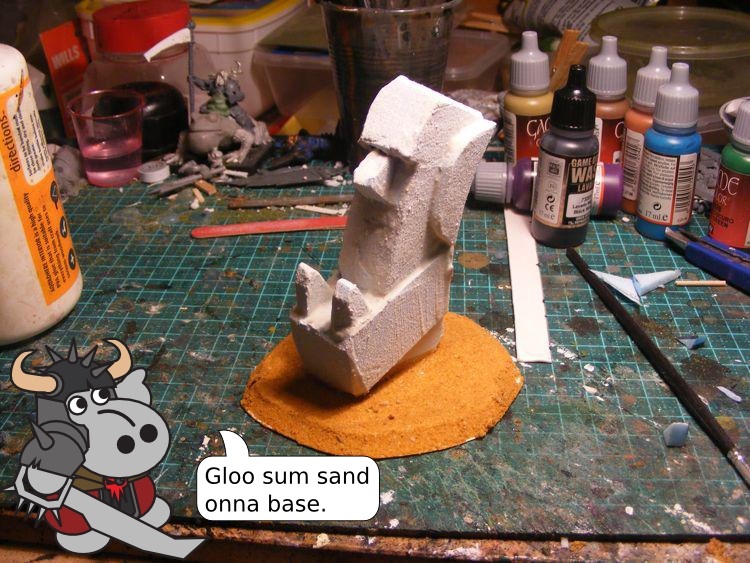 It was very big, and I never had enough polystyrene to make it myself, but I always liked the look of it. 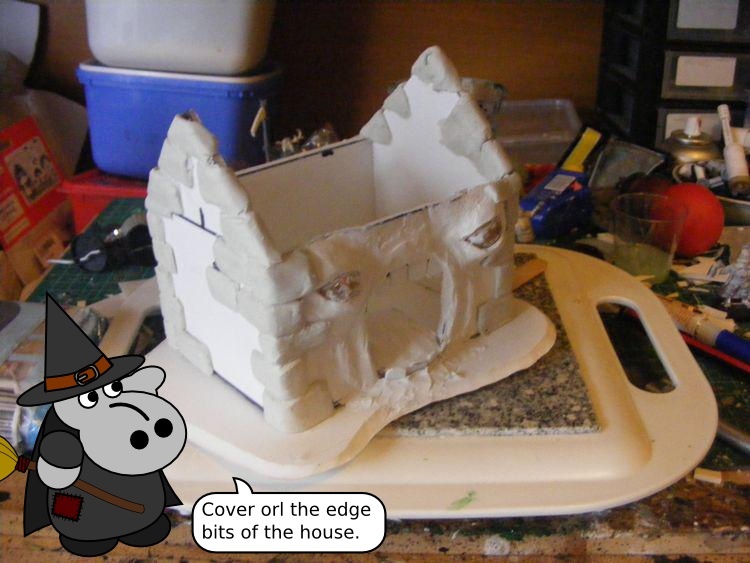 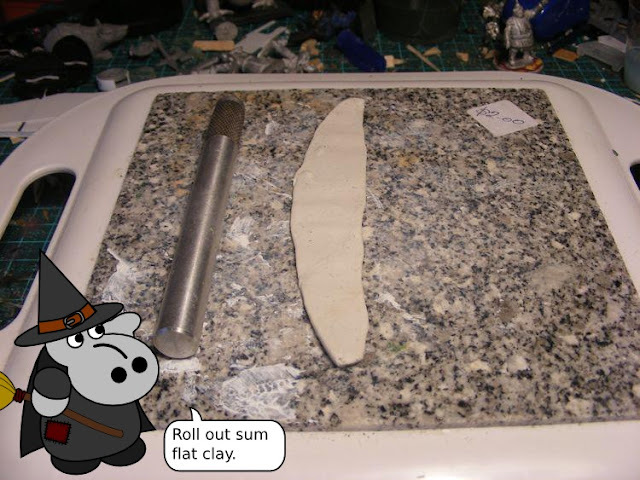 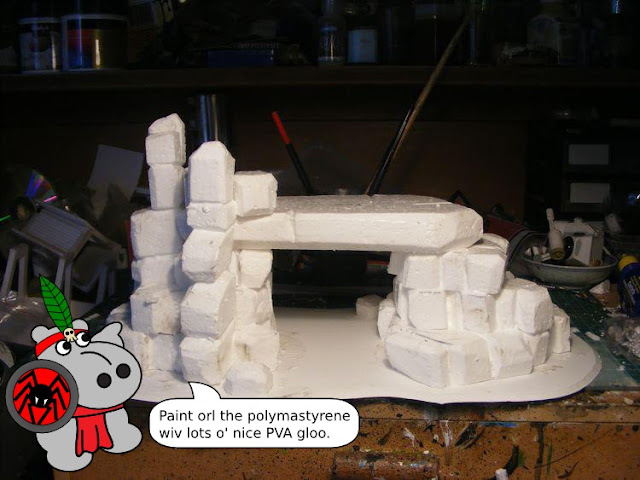 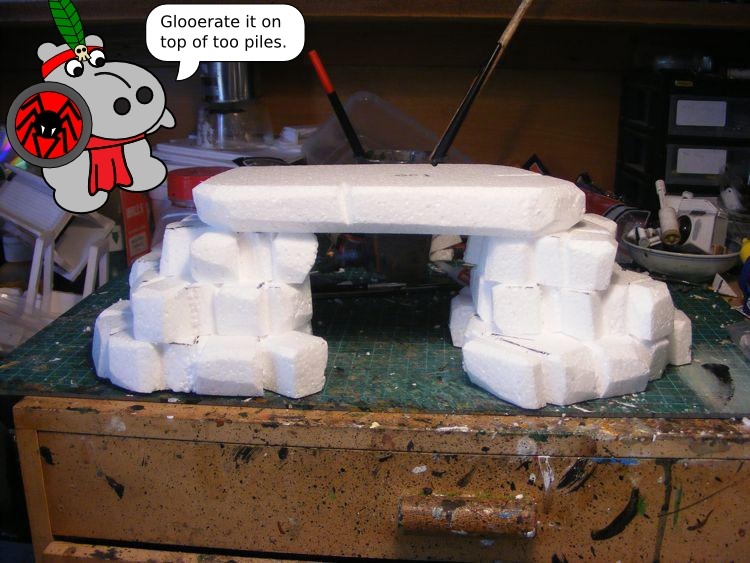 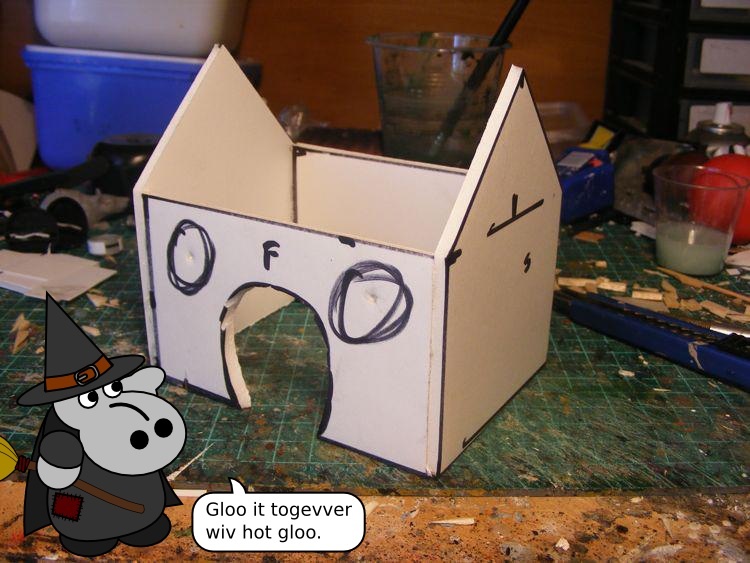 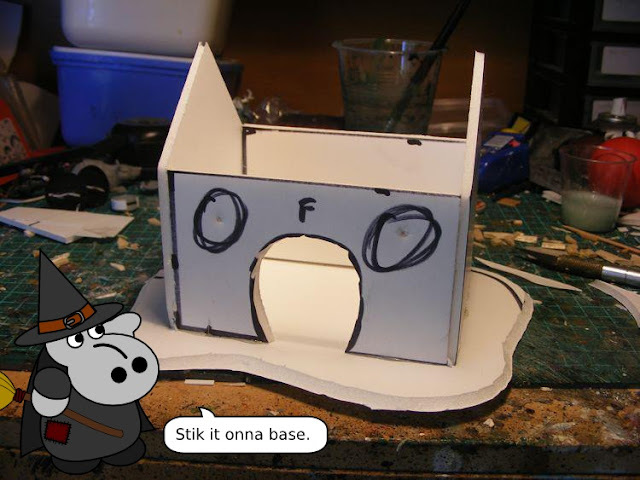 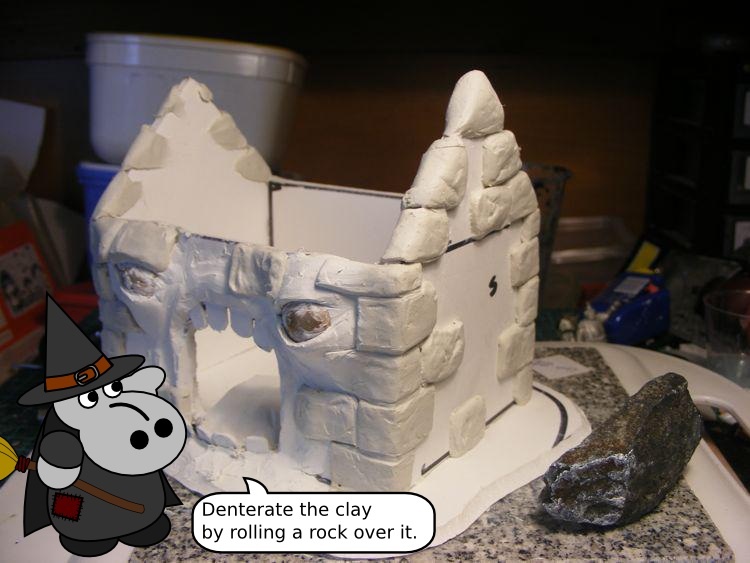 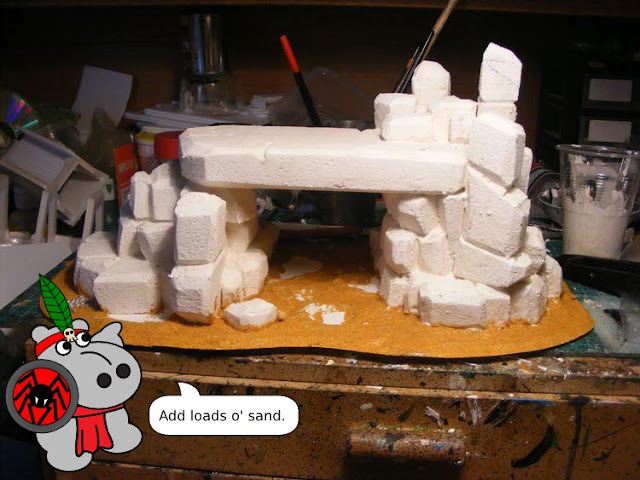 Well, these days I have enough polystyrene, so it's time to have a shot at my version of the Rock Arch! 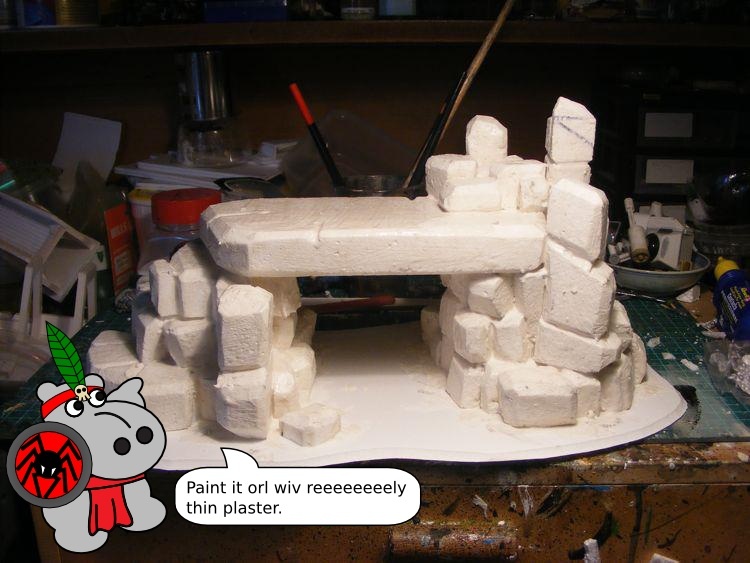 Is it difficult to build something at least in part inspired by a favourite terrain piece of your youth? 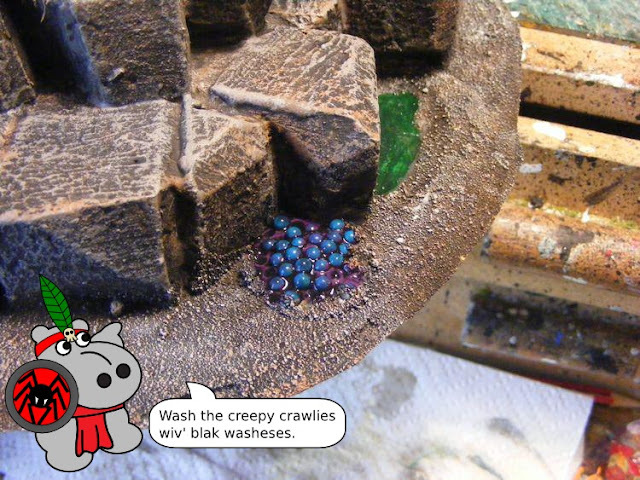 Note: Creepy Crawlies are a unit for Fanticide. They are available from Eureka Miniatures, among others. Well, there you are! 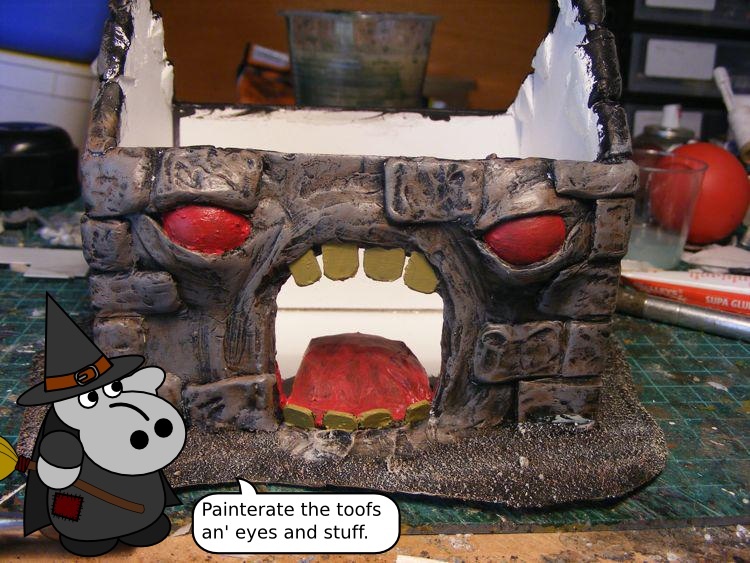 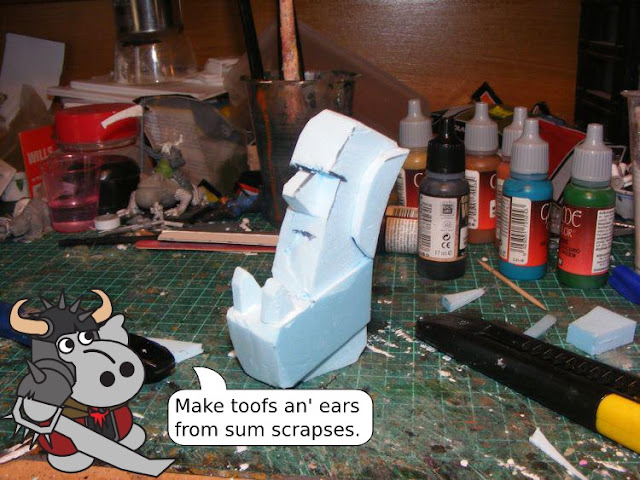 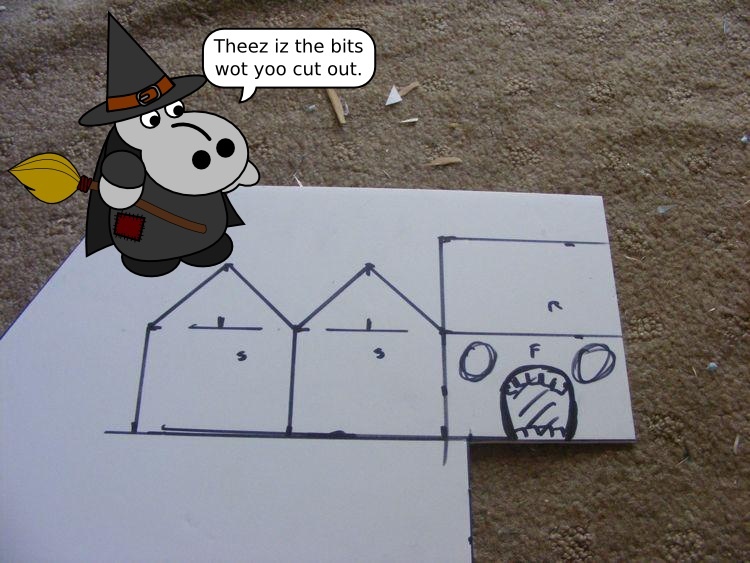 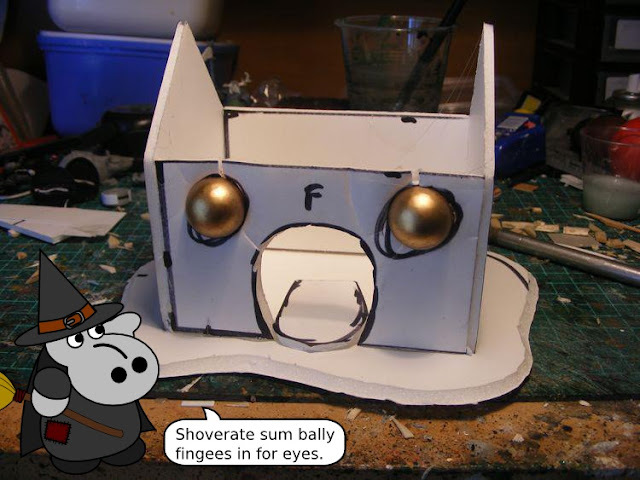 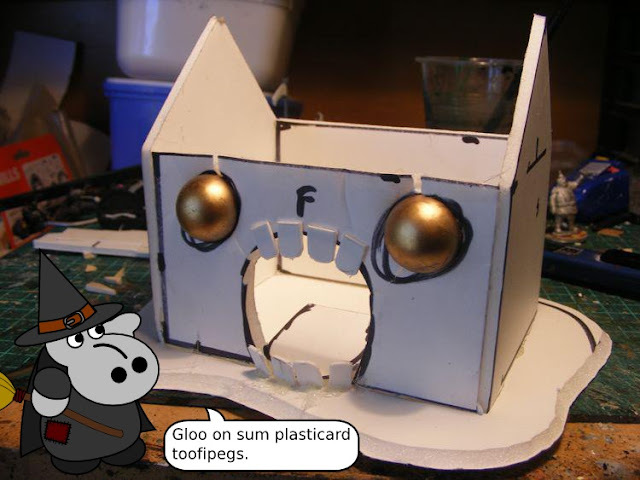 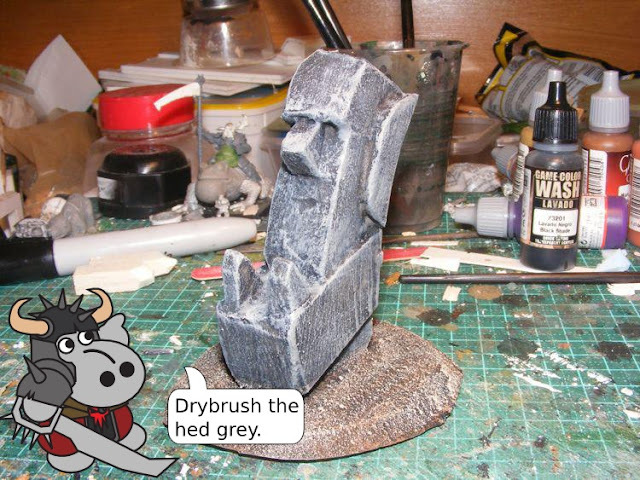 Stay tuned for next ishoo when we're tackling, of all things, Orcster Island Heads! 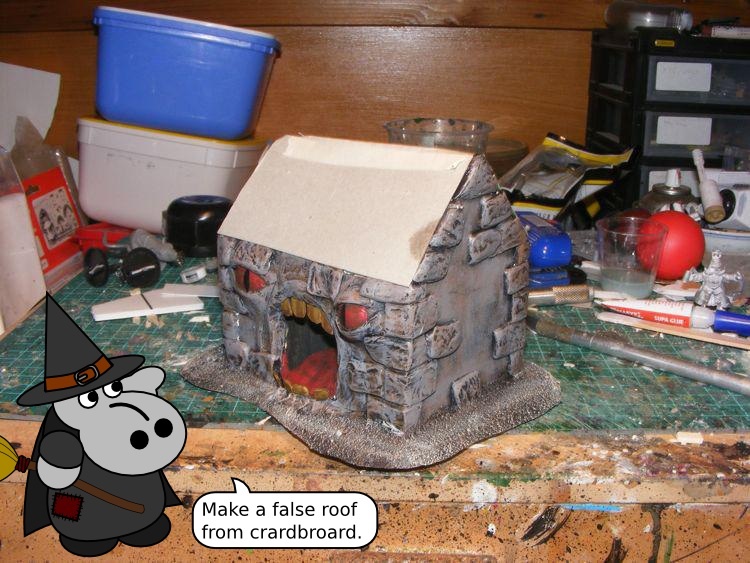 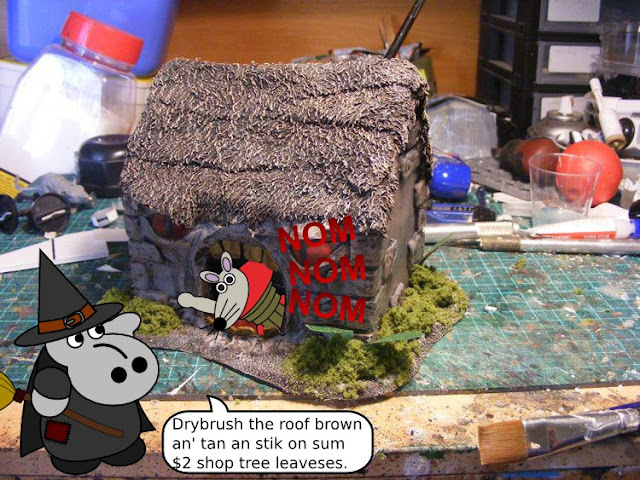 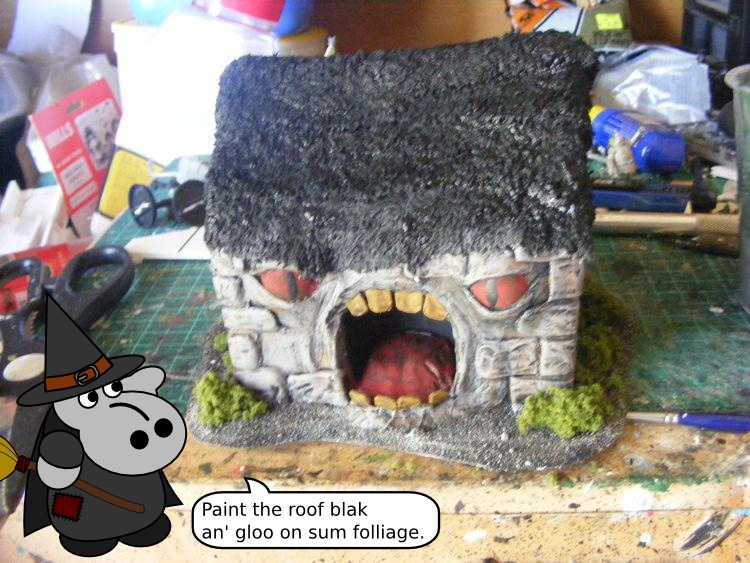 More Fanticide terrain this ishoo - this time it's the dreaded Hungry House. 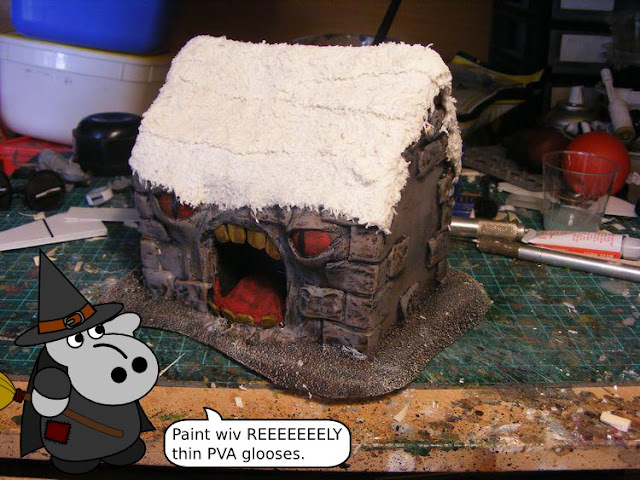 While I was researching the look of the Baba Yaga hut, I stumbled over an illustration showing a house with a very angry face and lots of teeth. 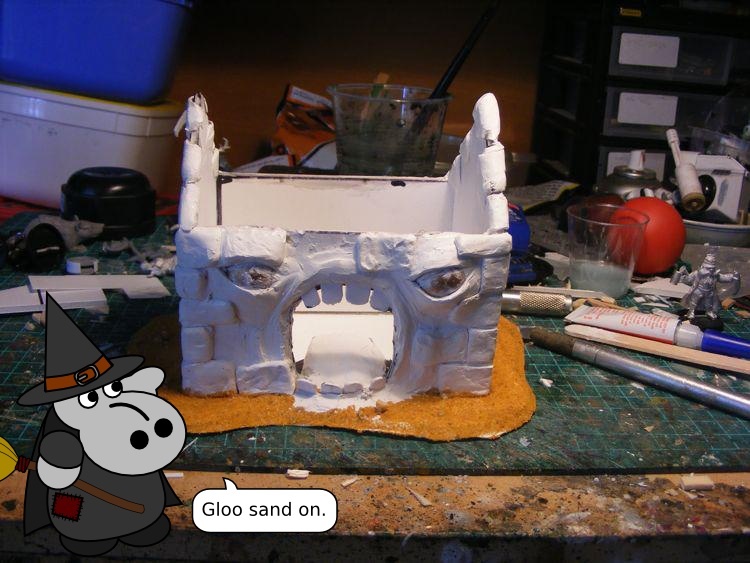 I thought this was just too cool to ignore, so I had to build one! 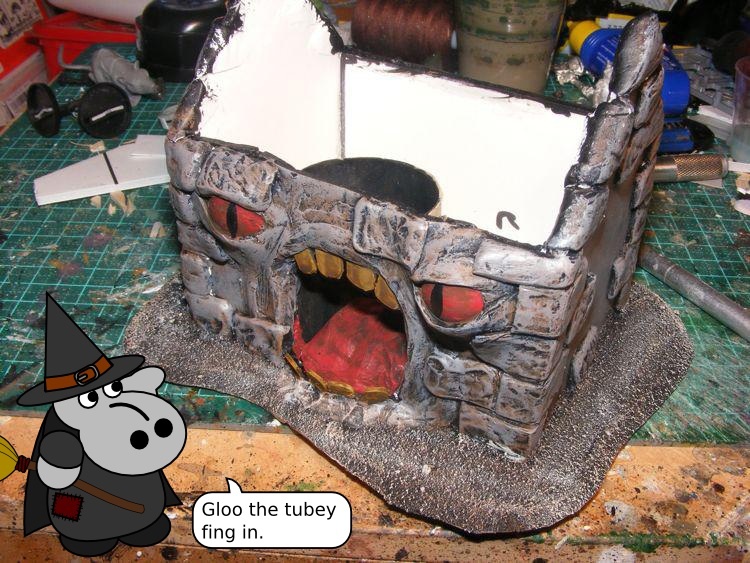 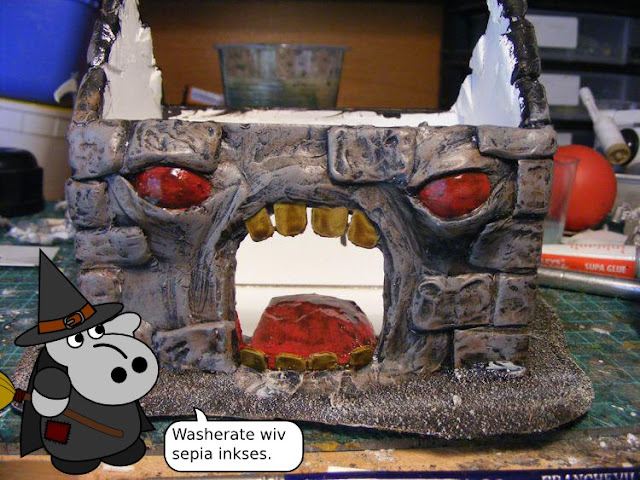 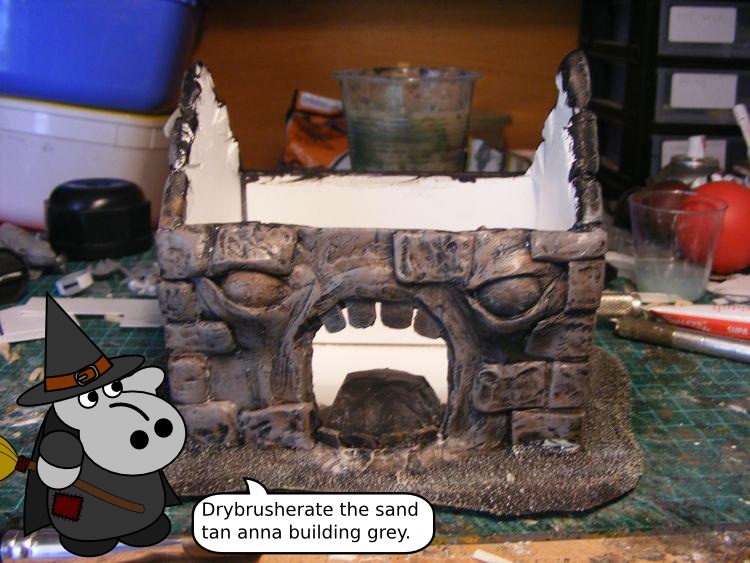 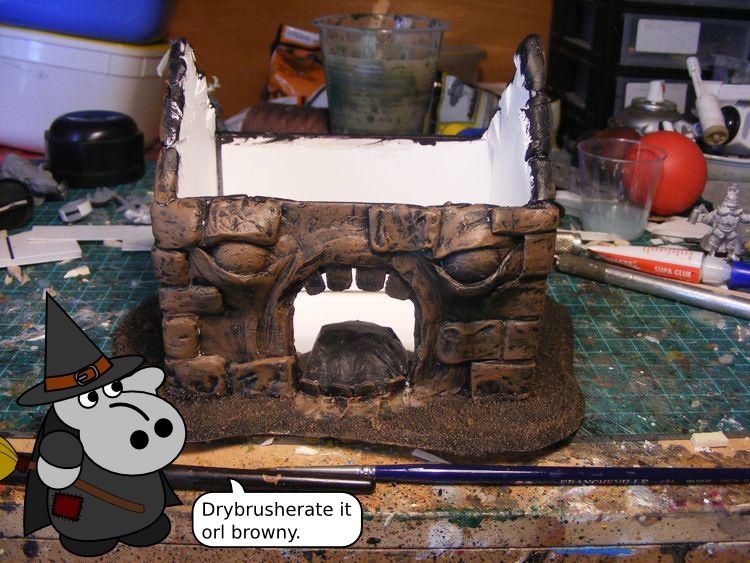 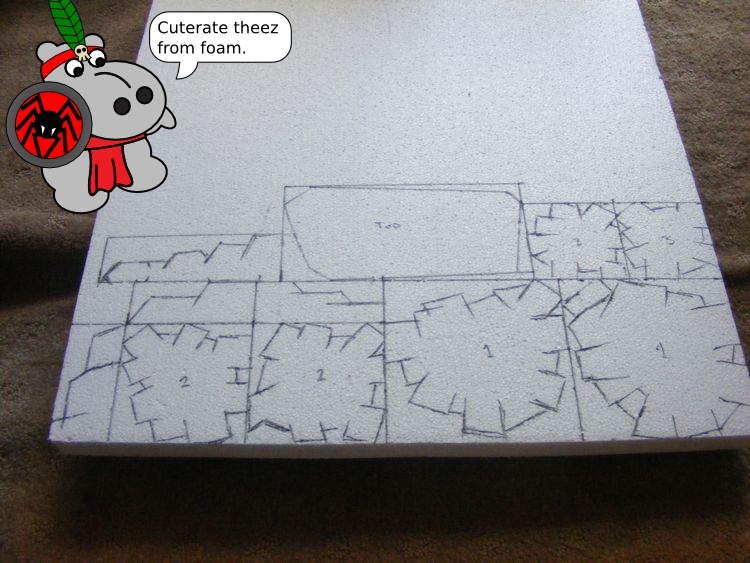 I'm planning to use it as the Hole Beast hostile terrain piece. So just how hard is it to build something as creepy as a Hungry House? 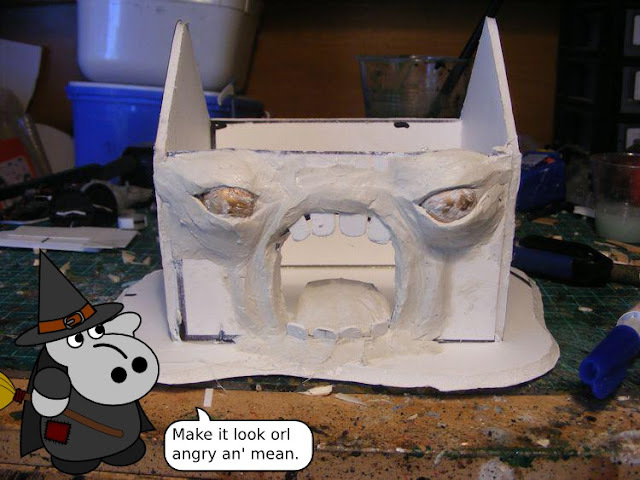 Well, here's a Hungry Hippo to explain! 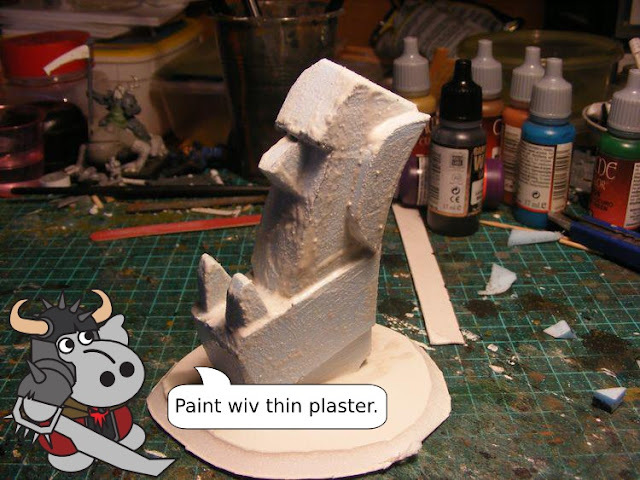 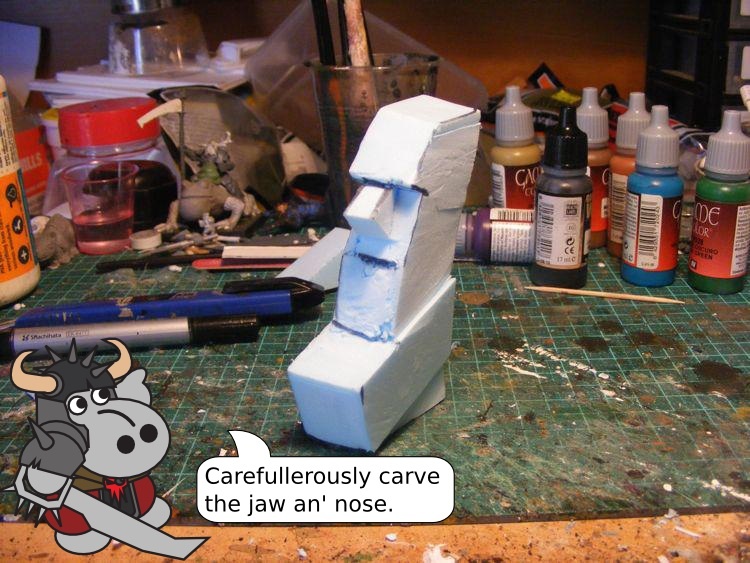 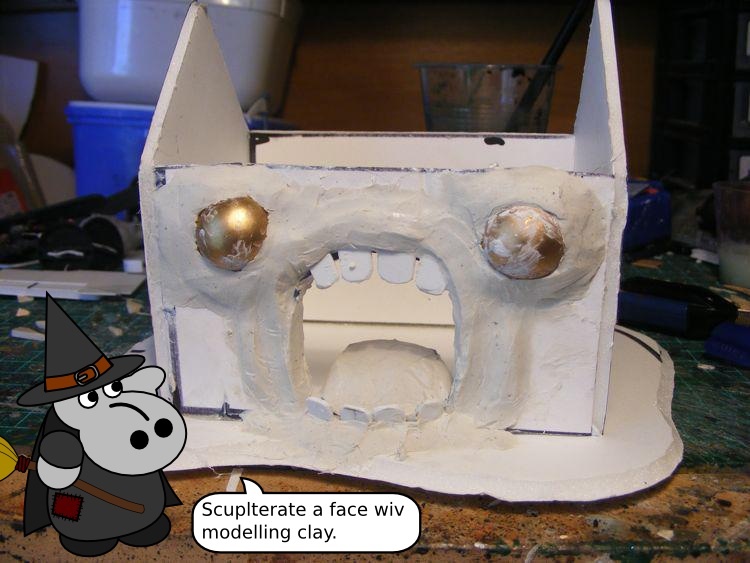 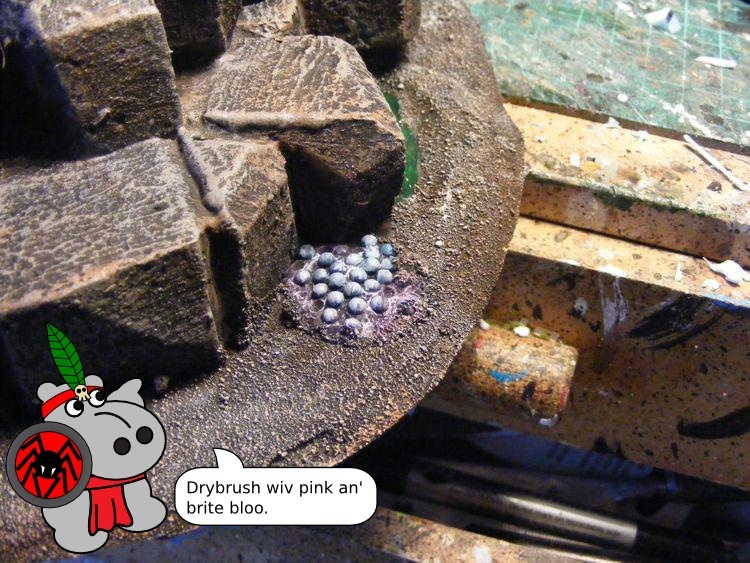 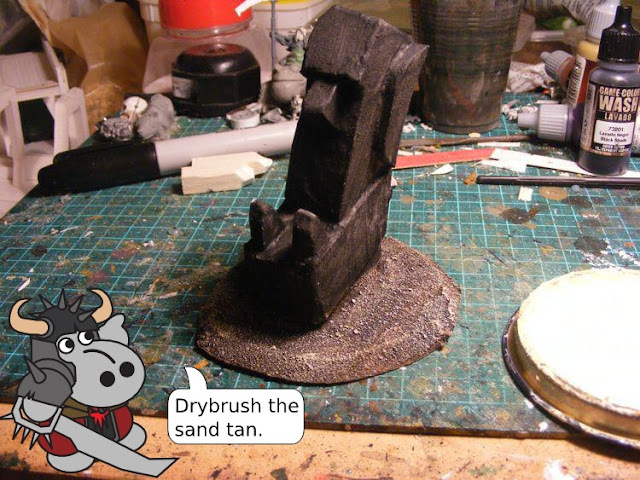 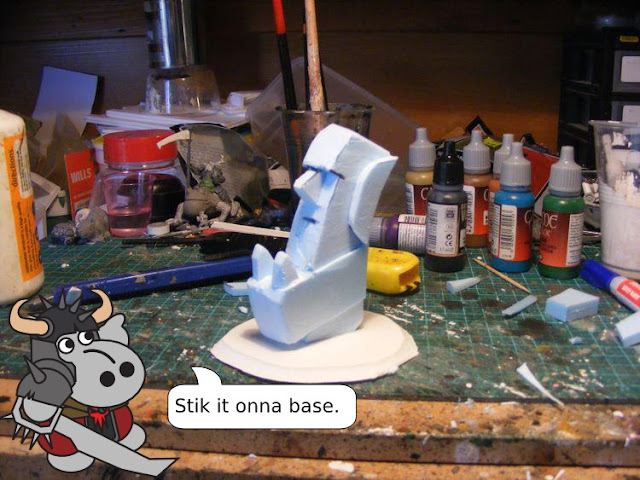 Sculpting wise, I used air-drying modelling clay, and a paddle-pop stick or my fingers. 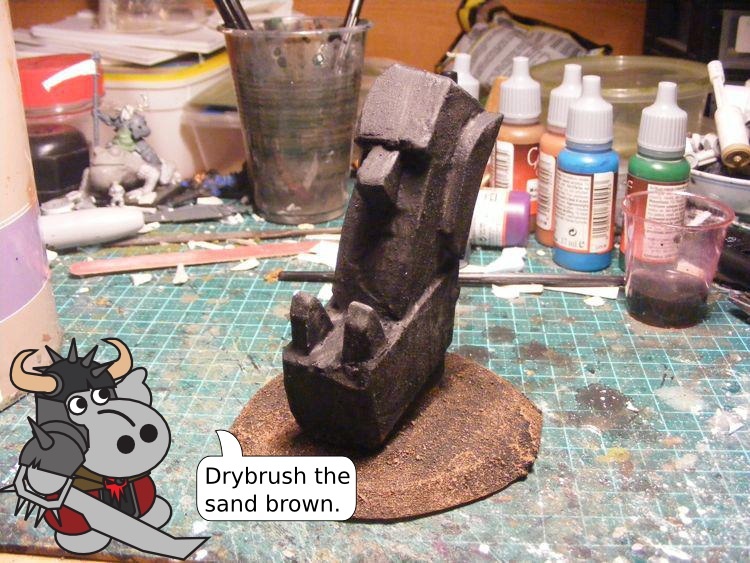 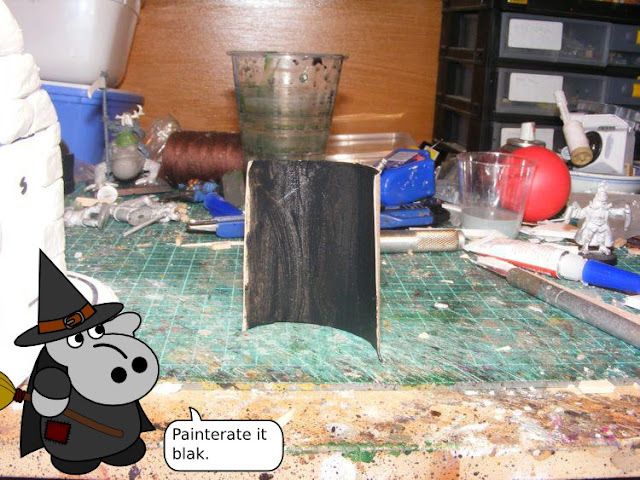 By wetting the surface to apply the clay to, I found it stuck very well. 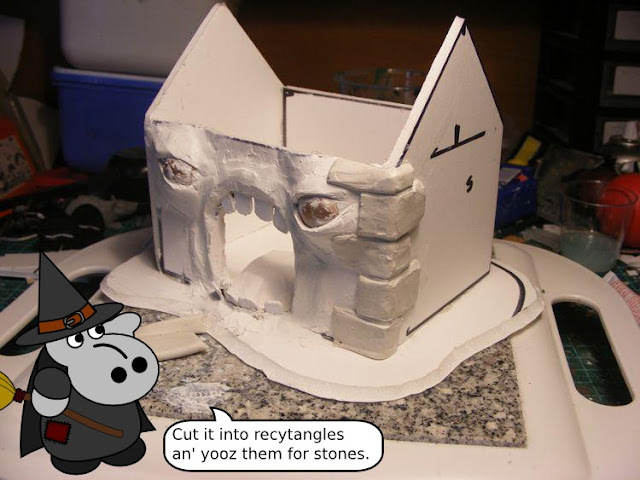 Don't forget to vote on the Ishoo Atey poll - our twentieth Reader's Choice Ishoo!